On a calm morning, near the edge of a high alpine lake in the Sawtooth wilderness, I have found a sense of freedom and awe at the happenings around me. It is inspiring to watch the many plants and animals gathering their breakfast and starting their day, as am I. I can’t help but feel nothing but gratitude for the processes that are happening around me and always. All of the necessary tasks that make our wilderness so special and unique and also that keep it thriving. Flowers blooming and pollinators pollinating, making this landscape beautiful as well as productive. During the early months of summer as the lupin starts to bloom, and as the little song birds like the western tanager come out, it is an expression of rejoicing and new beginning as the world opens up from the snow. Here in the sawtooths especially this year the snow fall was impeccable. It is unfathomable that at time that there such beauty it has come out of a such a harsh condition. Though for some the winter brings with it a favorable habitat. Like the wolverine who thrives in cold temperatures and high snow fall, or some of our native plant seeds that need stratification to prosper. Stratification being the process where a seed has to undergo a severe cold temperature for it to germinate and sprout in the spring. Then once the snow has melted and plants start to emerge, so do the animals and insects. This process repeats its self every year yet every year I am in awe that it in fact does happen. 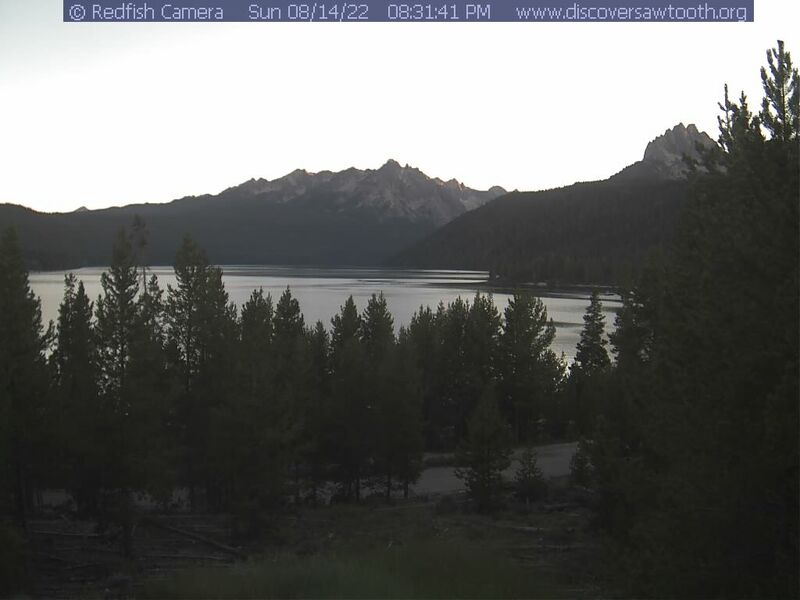 Here in the sawtooths we have a very interesting growing season that being it is very short. Things start to bloom and grown in the valley then as the snow melts, the growth travels up to higher elevation, as do that animals, traveling with their food source. Even with the short season we still have a wide variety of plants and animals. From deer, elk, and black bear, to wolf, wolverine, and mountain goat. From lupine, lodge pole pine, and currant, to douglas fir, fire weed. Not to mention all the other little species we often forget about, like the monarch butterfly, bumble bees, and the macro and micro invertebrates that fill out lakes and streams. This impossible grandeur that I so much enjoy requires much more than what is visible to the eye in a glance, or even an entire morning spent watching nature work. One of my favorite past times is watching the animals, and insects and creatures alike working away to enrich their lives, and mine. One might think that this process would always look the same no matter where you are viewing it from, however that is not the case. The Sawtooths have provided such a different experience than I’ve ever seen, as any new place does. There are different species of animals, plants, and different geological make-up of the landscape before me. Each new place offers its own performance of excellence for an environment that is so diverse and each species so independent and yet completely dependent on each other and the things they provide for the other. Sitting here watching all that is happening just to sustain life, brings me to find myself so grateful to get to be an audience member of such a beautiful performance and can’t help but feel so full and appreciative of all the necessary for me to enjoy my solitude and amazing views, and process I am also dependent upon. Though as the fire weed starts to bloom I am reminded that summer is drawing to and end and with that a new beginning of winter arrives and I must go. Though I will always remember my time spent in the sawtooths and always come back! So I challenge you the next time you’re in our beautiful mountain range, think about all the things going on around you, or maybe to think about the things you’re enjoying, the view, the terrain, or the wild, and to take in as much of it as you can. I hope it fuels a deep passion inside of you to help protect such majesty, and become, as I have, grateful in the sawtooths!